As soon as men started to sail the seas in their tiny boats thousand years ago, they ran the risk going aground or hitting hidden rocks. Sailing close to an unknown shore in the dark was a dangerous business. As a result, some kind of lighthouse became necessity right away. A lighthouse is a building with a light that warns ships to keep clear of land, or dangerous rocks or reefs. It also helps them to work out their exact position at sea. The buildings are made to last. They have to withstand huge waves and gales. Many lighthouse lamps are lit by electricity; others use acetylene (a colorless gas). Their steady of flashing beams can be seen as far as 20 miles (32 kilometers) out to the sea. Some lighthouses are manned by keepers; the less important lighthouses have no keepers. Lighthouse keepers lead a lonely life. They usually stay for 2 or 3 weeks at a time, but storms may trap them there for months. 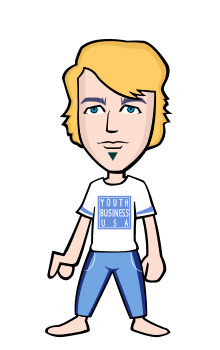 This means that they have to be well-supplied with food and other necessities at all times. A garden lighthouse I made for my garden out of few pallets, a packet of lollipop sticks and an old garden shed window. I made a step by step video guided and posted if anyone wants to have a go at making one. This whole thing to make cost me 1.50 pounds (cost of the lollipop sticks) because I used whatever I could lay my hands on. The paint used on it was what we had left over from painting the kid's bedroom but once it had dried I gave it several coats of clear vanish. The video is more detail but in a nutshell, I measured 6 lengths of board 36 inches in length and 8 inches wide I then at the top measured in 1 inch to give me 6 inches at the top. I then ran the boards through a table saw which was set at 30 degrees (all the cuts on the lighthouse were 30 degrees) I then glued them all together to form a hollow tube. I drew around a 20ltr bucket lid on another piece of board and cut it out using a jigsaw, this was for the top. I then cut 6 inches wide (on an angle) a cut it down to the desired height for the light housing. I cut out the windows by drilling a large hole in the corners and running a jigsaw from end to end. After I had glued it all together I glued lollipop sticks around the edges of the windows. I glued and screwed in the windows from the inside. For the roof, I drew around selections of lids that went down in size and cut them out using a jigsaw. I then glued them all together, biggest at the bottom smallest at the top. For the base I measured an inch around the bottom on a piece of board, cut it out and cut pallets lats the same length as sides again on a 30-degree cut. Lighthouse has stood on the Eddyson Rock since 1697. The first three were destroyed by fire or weather. The present one was completed in 1882. The ancient Egyptians lit fires on hilltops to help ships to find their way at night. Later, they built stone towers along the River Nile to house the fires. Priests kept them burning through the night. A lighthouse built about 300 B.C. 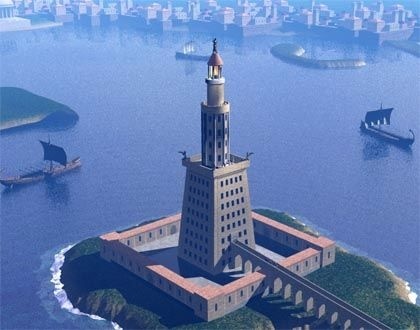 on Island of Pharos near Alexandria was one of the seven wonders of the ancient world. The wood fire that burned on top of it guided sailors for about 1,600 years. 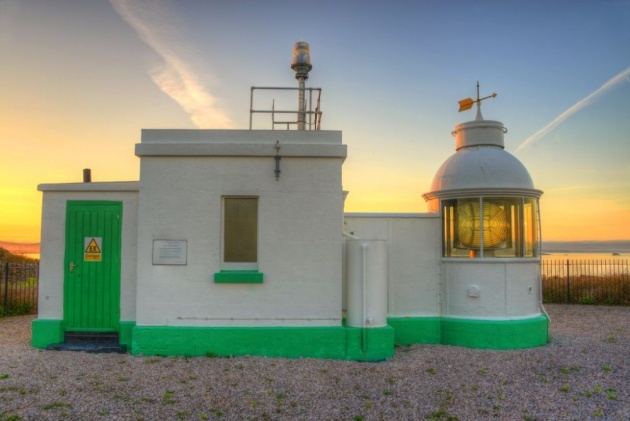 This building became the model for nearly all the later lighthouses. The Romans built many lighthouses. 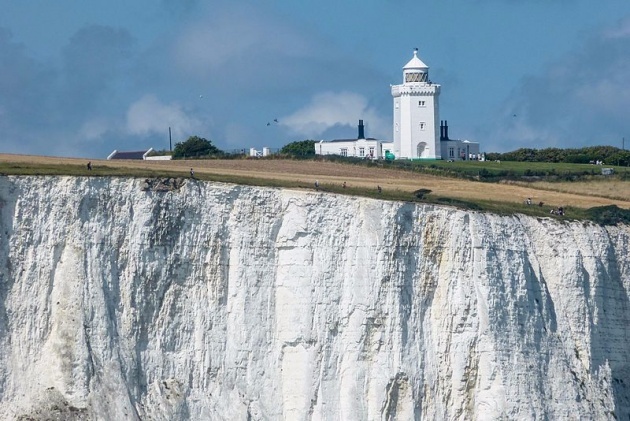 To guide ships sailing along the English Channel, lighthouses stood at Dover, and at Boulogne on the French Coast. The remains of the Dover lighthouse still remains of the Dover lighthouse still look out to sea from the cliff top. 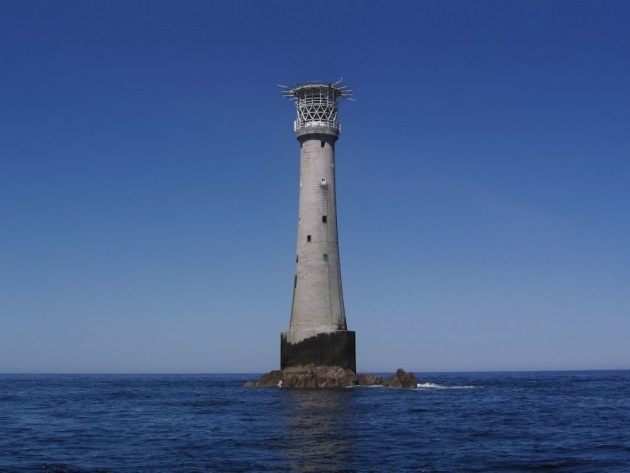 The most famous lighthouse in Britain is probably the Eddystone Lighthouse built on the Eddystone Rock near Plymouth. The reefs there were feared by all who sailed through the English Channels. Altogether, there have been four towers on the Eddystone Rock. The first tower was built in 1697, while England and France were at war. The designer, Henry Winstanley, together with his men, was captured by French ships. But it is said, they were soon set free on the orders King Louis XIV of France, who explained that he was at war with England, but not with humanity. Winstanley's wooden tower was not very strong. Yet he had such faith in it that he wanted to be in it during a storm. In 1703 his wish was granted; but he, the tower and everyone else it was swept away. The next Eddystone lighthouse was also made of wood. It was destroyed by fire after standing for less than 50 years tower. 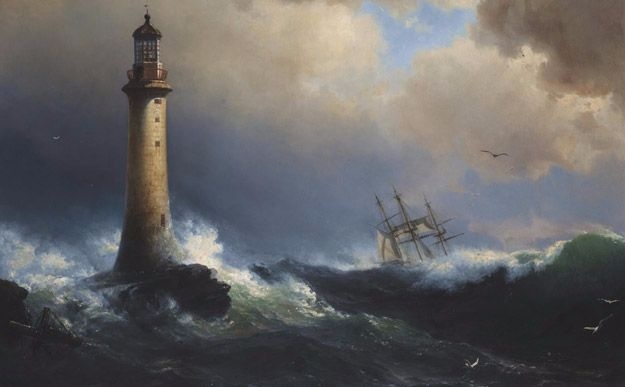 This led to the building of a fourth Eddystone lighthouse. Its builder, Sir James Douglass, took particular care with the foundations. He built the base in the form of a huge, solid cylinder that broke up or turned back the biggest waves. his tower, completed in 1882, is still in use. The first lighthouse in Australia was built in South Head, Port Jackson, in 1817. It was replaced in 1833 with the one present building, which flashes a light of more than 1,000,000 candle-power. The first lighthouse keeper in New Zealand was a woman. 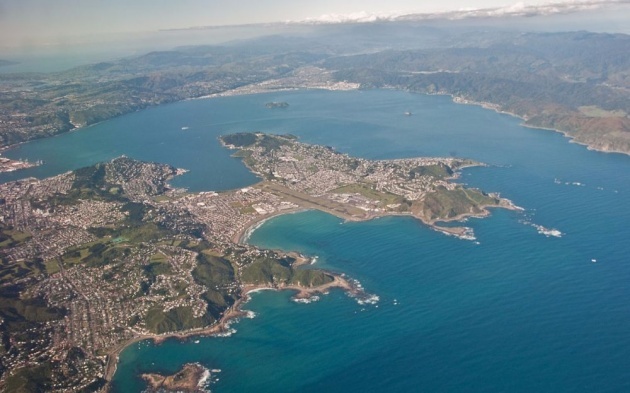 She was the widow of the keeper of a temporary beacon that was put up n 1852 at the entrance to Wellington Harbor. 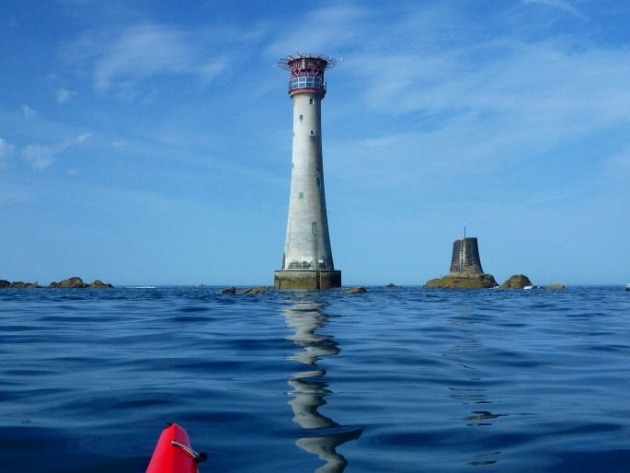 Eddystone Lighthouse was built by Trinity House in 1882, the fourth lighthouse to mark the small but dangerous Eddystone Rocks 13 miles south west of Plymouth. 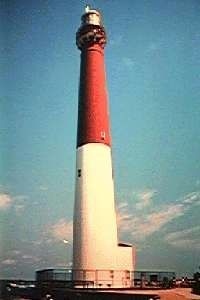 The original tower, completed in 1698, was the first lighthouse to be built on a small rock in the open sea. The first attempt to render the Eddystone safe to shipping was by an eccentric named Henry Winstanley. As a showman he had established Winstanley's Waterworks near Hyde Park which remained one of London's foremost popular attractions for decades. In 1696 he commenced work on a steel structure and finding conditions considerably harder than he had envisaged doubtless began to wonder what he had let himself in however the work progressed steadily. England was at war with France at this time and such was the importance of the Eddystone project that the Admiralty provided Winstanley with a warship for protection on the days when work was taking place. One morning at the end of June in 1697 the protective vessel did not arrive; in its stead, a French privateer arrived and subsequently carried Winstanley against his will to France. 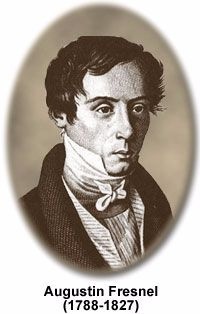 When Louis VIV heard of the incident he ordered that Winstanley is immediately released saying that "France was at war with England, not with humanity." 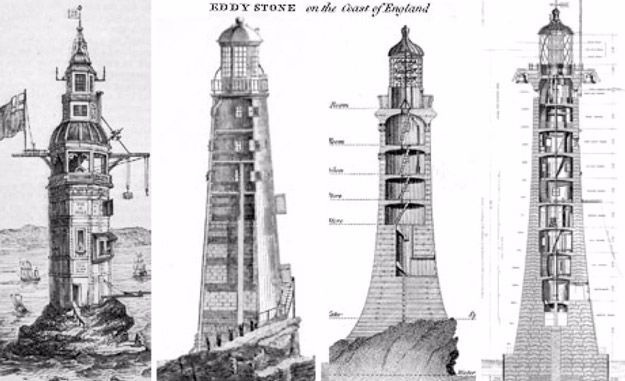 The universal benefit of the Eddystone-and of lighthouses everywhere-was understood by all. Located at the South at the era of 1906, it is built by Trinity House. It has four miles away from the Isles of Scilly with 46 meters long and 16 meters wide began in 1859 by Trinity House. Lighthouse lights did not become really brights until the 19th century, when Augustin Fresnel, a French physicist, developed his system of lenses. He arranged it s that the rays of the lamp shone on a number of pieces of beautifully cut and highly polished glass. As a result, the rays were focused (met at a point) so that they steamed out in the desired direction in a brilliant, horizontal beam. Today lenses are arranged in many different ways according to the kind of the light that is needed. Fixed lights are continuous and steady. Flashing lights show a single flash at regular intervals, with the period of light lasting as long as, or longer than, the period of darkness. Some light houses show different colored lights in turn. Each lighthouse can be recognized by the way it flashes. lights used at sea are always white, red, and green.